Be a part of the distinguished “Today’s Bride Featured Partner” program – custom designed and implemented to set your company apart from the competition. 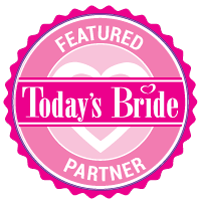 Unlike other awards or status honors, the “Today’s Bride Featured Partner” program is a proactive & ongoing initiative encouraging magazine readers, online visitors, and bridal show attendees to look for and choose Featured Partner companies affiliated with Today’s Bride – now and for years to come. 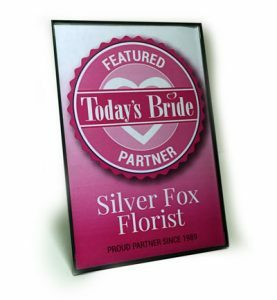 Whether you work out of an office or your home, it’s important you prominently showcase your status right away, since brides will be looking for this emblem of excellence. It’s simple. Your affiliation with Today’s Bride in the form of either a print ad campaign, a one-year online listing, or participation within three bridal planning events shows your commitment and dedication to the Northeast Ohio wedding industry and cements your status as a Featured Partner. We’re your partner in achieving sales growth. As such, Today’s Bride Magazine & Shows is dedicated to promoting our preferred customers to the thousands of brides-to-be we interact with throughout the year. We look forward to welcoming you to the Partner Family so our engaged couples will see your status starting immediately! Please contact for details on how to get started.